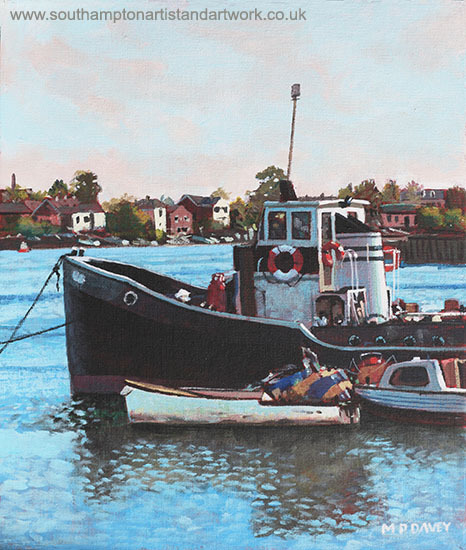 This painting of old boats moored up at St Denys was painted in April in 2014. They are on the River Itchen which flows through the area from Southampton Water. In the background can be seen the backs of houses on priory Road. The painting is done in Acrylics on a canvas board sized at 10” x 12”.